COATESVILLE – Over 150 residents of the Coatesville Area School District, including City Council members, parents, teachers, principals, school board members and district administrators attended a community forum at Coatesville’s City Hall hosted by State Representative Harry Lewis Jr. (R-74) last week. Rep. Lewis — a former teacher, coach and administrator in the district — called the community forum to address recent media reports of school violence in the CASD and open the dialogue within the community of Coatesville. Lewis went on to say he had already met with the superintendent, school administrators, district attorney Tom Hogan and local law enforcement to recommend new security measures for the high school campus. 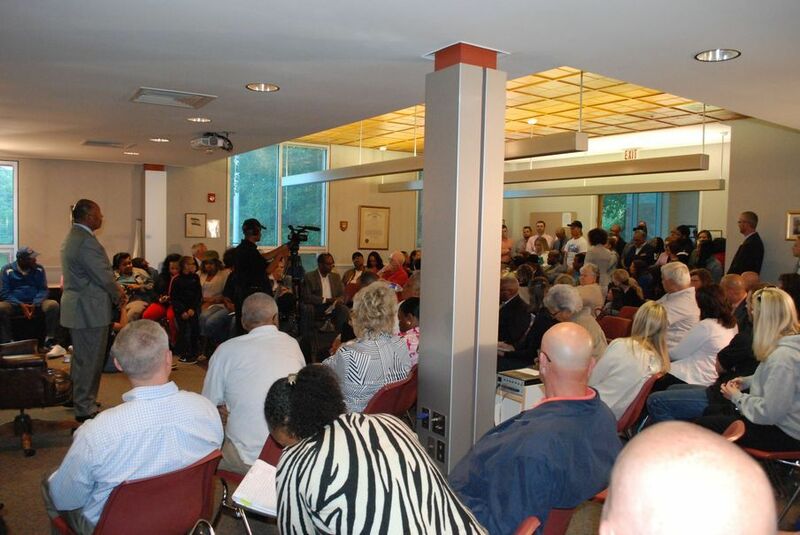 Members of the public expressed their concerns and shared their experiences in the district and questioned discipline practices. One parent, Tom Audette, suggested letting the district police back into the buildings and also holding parents accountable for their child’s actions, such as fining the parents or putting them in jail if their child gets into a fight. Another resident stated they believe many issues stem from social media or other issues off campus and then they are brought onto campus. One student in attendance stated that students have texted each other from the two buildings on campus and then make arrangements to meet between classes of during lunch to fight. Rep. Lewis listened to comments from the public and will continue to meet with district officials through the summer. “Unlike what has been reported, security has been instructed to break up fights. Similarly, teachers, staff administrators and school police also intervene to quell disturbances. Similarly, while school police do monitor the perimeter of our buildings and appropriately monitor the safe transition of students between buildings, they also intervene in school situations as often as is requested by the building administrators. The district will continue to meet with parents, students and staff to monitor and to respond to concerns.” Taschner continued. Taschner then referenced the following changes that have been implemented, such as changing teacher and supervisory schedules to provide more supervision during transition times when students are in hallways, in the cafeteria, before and after school, two more security guards have been hired per building, a third assistant principal has been hired and a transition meeting is being held for incoming 9th grade students and 10th grade students. In addition, several plans are in the works for the 2016-2017 school year, which include limiting student transitions between the 9/10 center and the 11/12 building. Taschner assures it will not impact students’ ability to take AP and other advanced classes, as they will now be offered in both buildings. The district plans to form a committee of parents, students, teachers and administrators to evaluate the electronic devices policy. A new security entrance will be installed in the 9/10 center and lunch schedules will be revised to limit the number of students in the cafeteria. 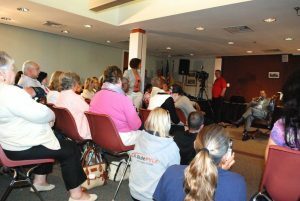 Lewis stated there will be future meetings that will take place in the summer to continue conversations between the community and the district and according to a press release from his camp, has already requested a meeting with the CASD administrators and school board to discuss the concerns expressed at the forum. He also plans to take the community’s concerns to the House Education Committee, of which Lewis is a member. “Education is paramount to our society, and students cannot learn and excel in their studies if they do not feel safe in their own school,” said Lewis.